This tiny Balkan country is best known for its natural beauty, gorgeous beaches, deep canyons, glacial lakes and mountains. Discover it’s diverse history with antique Venetian villages and UNESCO walled cities. Here are the top attractions in Montenegro. Budva, located in the centre point of Montenegro’s coastline, boasts an abundance of beaches. Take a walk along a seaside path to the idyllic Mogren Beach. Nearby Bečići is more relaxed place with a laid back location and a beautiful sandy beach. 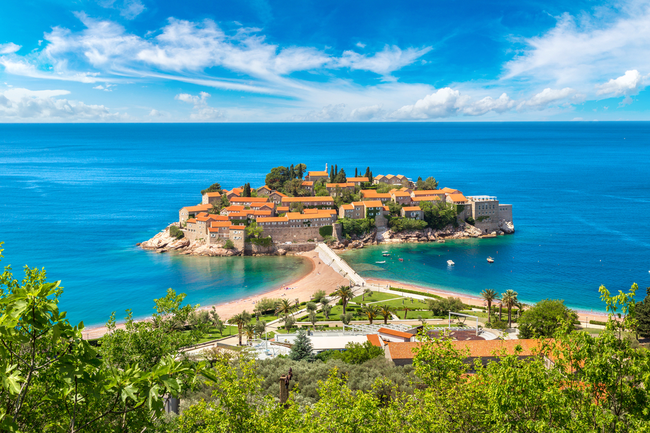 Sveti Stefan is another resort along the Budva Riviera. The 15th century village stands on a rocky island. Visitors can enjoy the two pink pebble beaches with azure waters on either side of the isthmus that connects the island with the mainland. Nearby, Crvena Glavica is a set of seven beaches, where clothing is optional. Located on the south coast of Montenegro near the Albanian border, Ulcinj is famous for its many beautiful beaches, like the sandy stretch of Plazhe e Mahed or Velika Plaza. The offshore island of Ad Bojana features several scenic beaches as well. 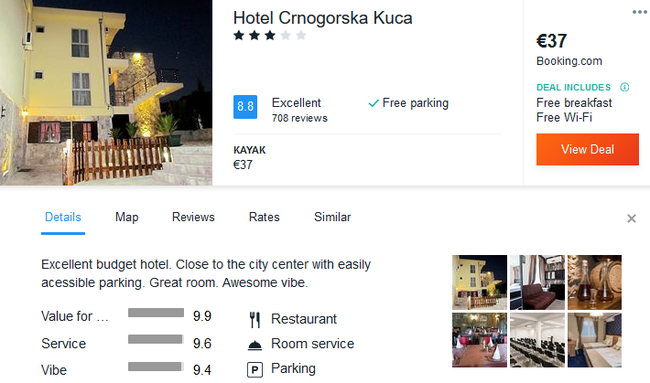 In Podgorica you can stay in the well-reviewed 3* Hotel Crnogorska Kuca with breakfast included and excellent reviews! Featuring an à-la-carte restaurant, Hotel Crnogorska Kuća enjoys a quiet location 2.5 km from the centre of Podgorica. 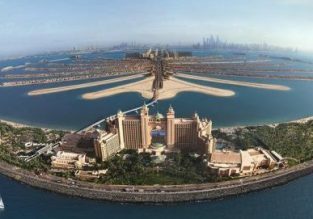 It offers modern air-conditioned rooms with free Wi-Fi access. Free on-site parking is provided. All rooms feature a flat-screen satellite TV, a fridge and a desk. Featuring a shower, private bathrooms also come with a hairdryer and towels. 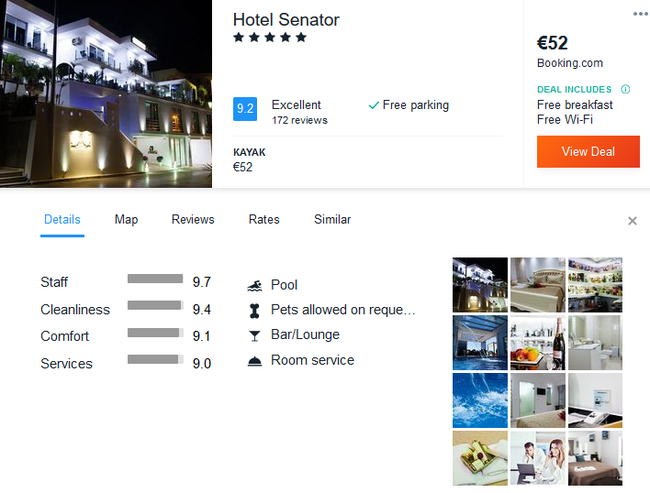 In Ulcinj we recommend you to book 5* Hotel Senator. This top rated 5-star hotel is 500 m from the beach and 1 km from the centre of Ulcinj. Free Wi-Fi and a private garage are provided. The hotel offers an indoor and outdoor pool, as well as car and bike rental options. All accommodation units are air-conditioned fitted with a seating area with a flat-screen TV and a DVD player. There is also a kitchenette with a dining area. Private bathroom provides a shower and hairdryer. The on-site bar offers a summer terrace. 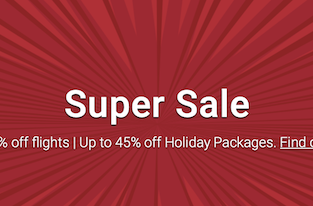 Massages can be enjoyed for an additional cost. There is a grocery shop 50 m away, while a restaurant serving local and international food can be reached in 100 m. The sandy Long Beach is 5 km away from Senator Hotel. 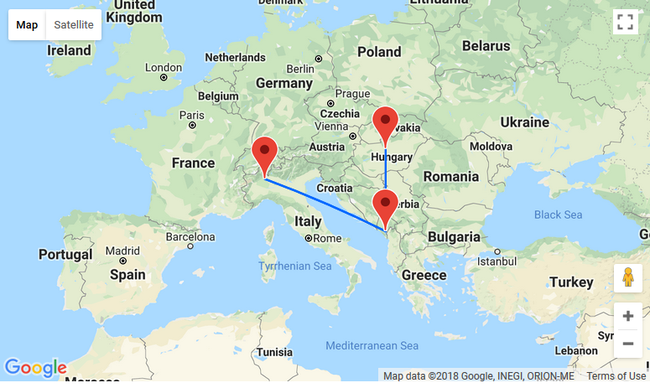 Podgorica Airport is 65 km away, while a Bus Station is 1 km away. The Skadar Lake can be visited 9 km from Hotel Senator. Discover seaside resorts along the Adriatic Sea. Enjoy an afternoon swim followed by a dinner of fresh seafood, while watching the sunset over the sea. With kite surfing, beach parties and a music festival, Ulcinj is one of the trendiest summer hot spots in Montenegro. Don’t forget to visit the War Memorial. Skiing and snowboarding are the main winter activities of the Durmitor National Park. Camping, fishing and hiking attract visitors in the summer season. Other popular activities include mountaineering, trekking, 4×4 driving and mountain biking. If you like hiking, you can choose an easy 4 km trail around the Black Lake (Crno Lake). The track will lead you past historic caves. Rowing boats are available for hire at the lake. Climb to the top of Mount Lovcen and enjoy 360 degree vistas of the fortified city of Kotor, the surrounding hills, the Bay of Kotor, Lake Skadar, Albania and Croatia. Capped by two mammoth peaks of granite, Mount Lovcen inspired Montenegro’s name. Discover the nearby Mausoleum of Petar II Petrovic-Njegoš to pay respects to the poet, bishop and philosopher who ruled Montenegro from 1830 to 1851. Check out Stara Maslina, one of the world’s oldest olive trees, thought to be over 2,000 years old. Take a boat tour to the Blue Cave from either Herceg Novi or Kotor and explore the cave’s depths. You can also discover the enormous caverns of Lipa Cave. A miniature train will take you to the cave entrance. It’s a great attraction for families. In the Tara River you can try white-water rafting, jeep safaris, canyoning and zip-lining. 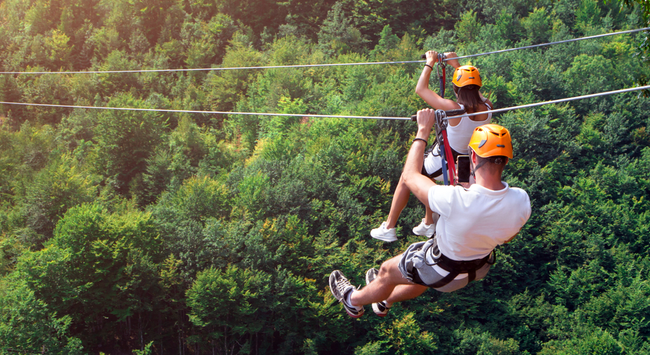 A tour to the Nevidio Canyon will satisfy the adrenaline junkies (available from May to October). 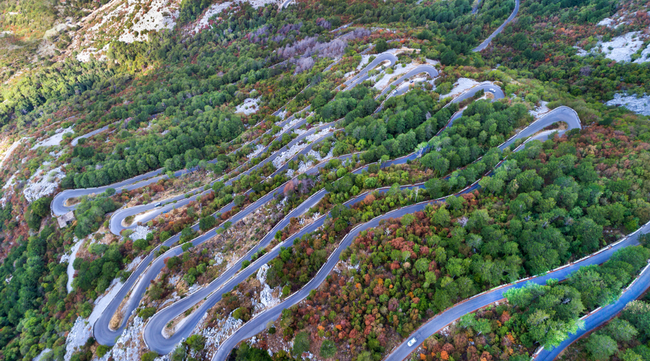 Take a thrilling drive on the road running within the spectacular Moraca River Canyon. Explore Budva’s 2,500-year-old walled town. Enjoy the vibrant nightlife and party until the early morning in the city’s bars and clubs. Discover Skadar Lake, the largest freshwater lake in the Balkans and a mecca for birds. 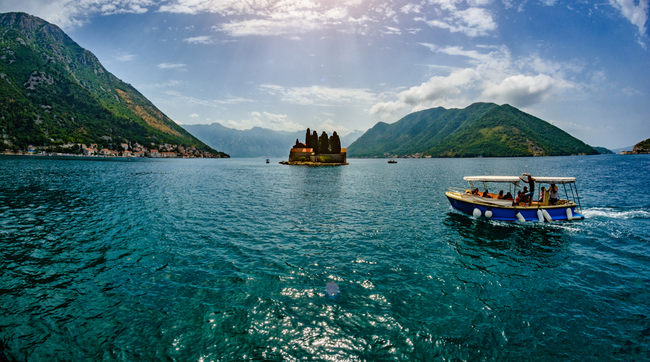 Explore Perast, a picturesque bay-front town, best known for it stone-crafted villas and historic churches. You can also sail to the Island of Saint George. A short boat ride from Perast or Kotor will take you to Our Lady of the Rocks, a picturesque 15th-century church located on a tiny islet. In Podgorica, Montenegro’s capital and largest city, you should see the iconic Millennium Bridge. Pay a visit to a local winery to try traditional food and wine. Good Morning Montenegro! from Karol Werner on Vimeo.